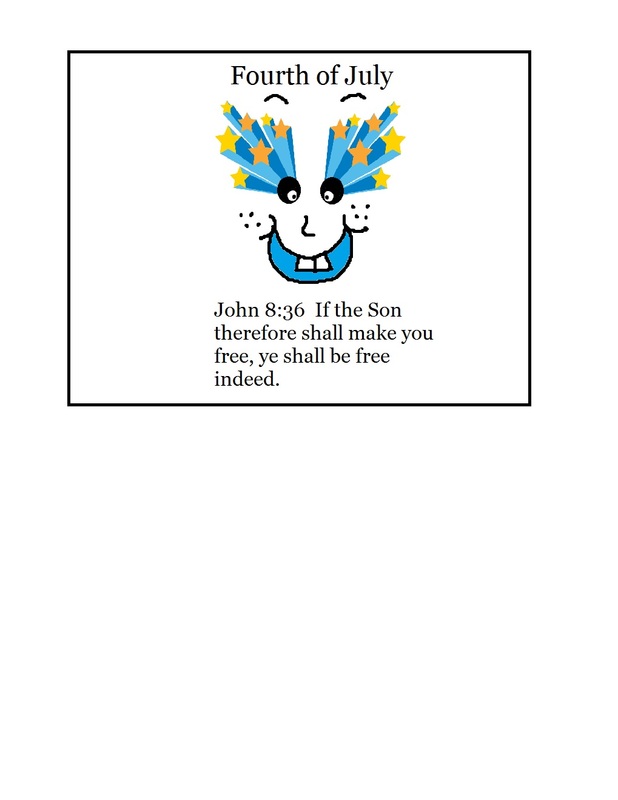 John 8:36- If the Son therefore shall make you free, ye shall be free indeed. 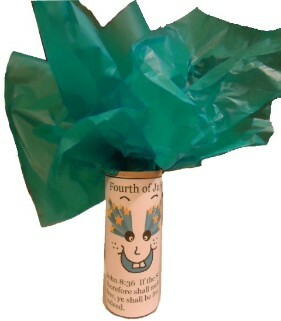 Print the fireworks template out. Have the kids cut the square out and wrap the paper around the toilet paper roll. Tape the back closed. Take some tissue paper and stuff the whole thing down in the tube. This is the fireworks hair. Teach the kids scripture that if Jesus makes you free, you are free indeed. We have the lesson to go with this.